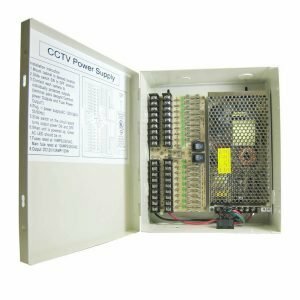 This 5-way DC power splitter is an easy way to split your CCTV cameras, LED strip lights and other home electronics needing DC Power. It is 17 in. long, which features 1 female 2.1 mm x 5.5 mm jack and 5 male 2.1 mm x 5.55 mm plugs. 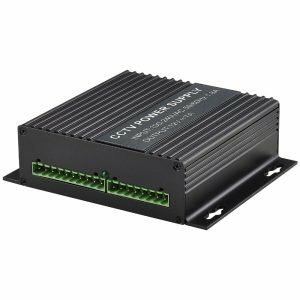 It provides a simple solution for power connectivity. Package comes with 5-pieces. 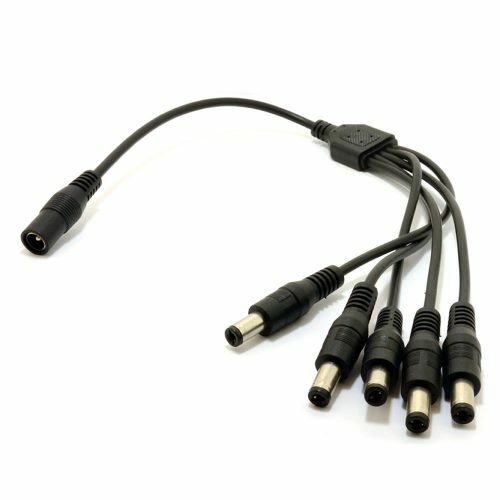 5-way power splitter cable compatible with all CCTV cameras, LED light strip, monitoring equipment, monitoring camera, router, switch, broadband cats and etc.